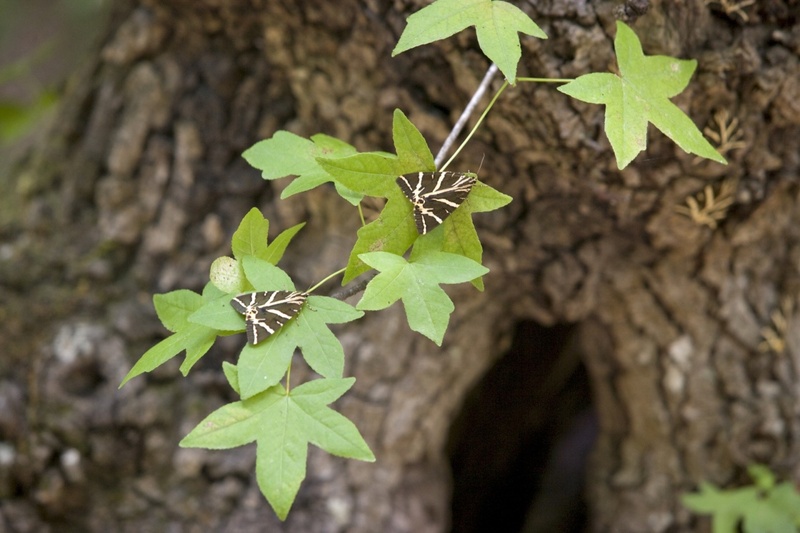 Near Theologos village, 10 km from the airport, you can visit the famous Valley of the Butterflies. It sounds like a dreamy place and truly is! Also it is one of the most famous attractions of Rodos that is certainly worth a visit. This is a rare habitat that hosts the butterfly Panaxia Quadripunctaria, which makes its appearance in this unique natural park in the period from mid-June to late September. Some of these butterflies are very rare species and are found in very few places around the world. The Valley of the Butterflies administratively belongs to the village Theologos. It is a small and dark pine-clad valley, crossed by a stream, shady paths, forming ponds and small waterfalls in its course. Also, you can see wooden bridges in different parts of the small river Pelecanos and a restaurant overlooking a waterfall. At the time of visiting, the grey butterflies sleep on the shady sides of logs of trees or around the roots. The sight of the colony itself is magical but if the butterflies are awake they form a cloud, which is very impressive as it reveals the orange colour of their feathers. The valley is crossed by the river Pelecanos and is close to the Monastery of Kalopetra. According to the tradition, the valley was called Pelecanos, after the name of a servant of the prince Alexander Ipsilantou. The lord brought his daughter, who was suffering from tuberculosis, in the area to heal by the good climate of the place and built the Monastery of Kalopetra in 1782, on the ruins of an older monastery and put his slave to guard it. The girl loved the servant, but his father refused to let his daughter marry him. Then the servant killed himself from the bitterness and sorrow and so the place got its name. Not exactly the chaos theory, but the unpleasant truth is that the number of butterflies is increasingly reduced due to the impact of tourism on their natural environment. This is mainly due to the fact that a number of visitors whistle or clap their hands in order to see the butterflies fly. What they do not know is that the clapping and whistling produce ultrasonic sounds similar to those of bats. The butterflies feel threatened and try to escape frightened. In this way many of them die from shock or from depletion in their attempt to escape or even by crashing on rocks and trees. It is also important for them to stay still on the trees, because they must keep their strength for their long journey in September. So try to avoid any hassling during your visit. The Valley is open in summer from 8:30 to 18:00 and the entry costs 9 Euros. Telephone: 22410/81801. DON'T: It has been proved that noise is not only detrimental to their life but also their reproduction, so visitors are asked to move slowly and silently along the specifically formed path.